The fall issue of Mendoza Business, the alumni magazine of the University of Notre Dame’s Mendoza College of Business, says hello to Generation Z. The cover story, “The Up & Comers,” profiles business school students who take the innovations of the internet revolution for granted. 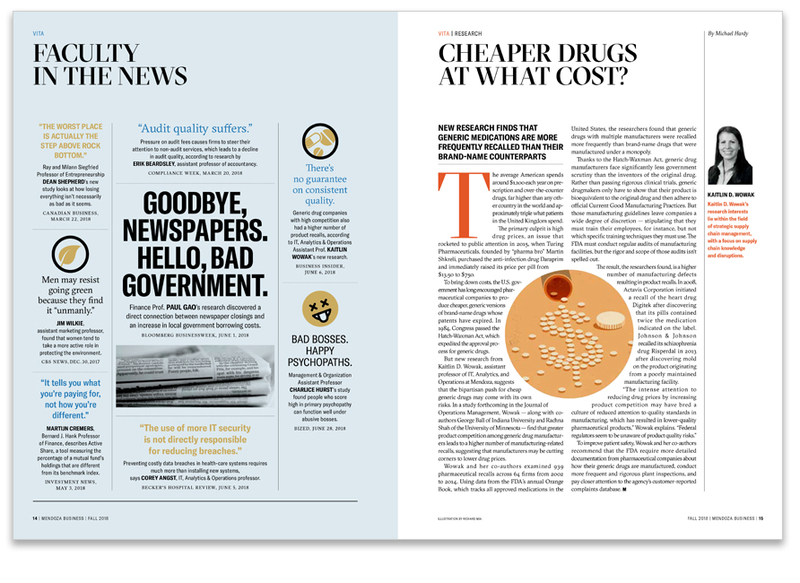 Other features include: new research that finds generic medications are more frequently recalled than their brand-name counterparts; how culture change could help hospitals protect information-rich digital health records; and closing the income inequality gap in business. The annual Dean’s report was also included in the mailing of this issue. 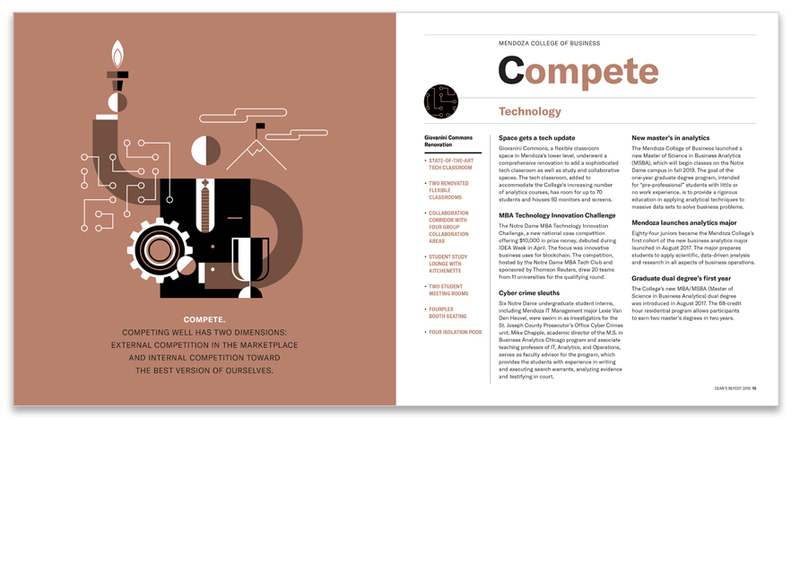 The report was framed around the “three Cs” of business: contribute, cooperate, and compete, with custom illustrations throughout by Scott Roberts.